Help us solve climate change. On May 21, 2019 at 7 PM at 3131 Morris Ave in Knoxville. Erin Gill, Sustainability Director, City of Knoxville, will be making a presentation. For over a decade, the City of Knoxville has worked to make Knoxville a greener, more sustainable city – one where the economy, environment, and community can thrive today and in the future. Erin Gill [...] will discuss the City’s past and current sustainability efforts, as well as share perspective about new, longer-term City sustainability goals. Her presentation will include an overview of the City’s greenhouse gas emissions inventory and highlight how emissions have changed over time. Ms. Gill was appointed to the Office of Sustainability by Mayor Madeline Rogero in 2013. She serves on the 2019 TVA Integrated Resource Plan (IRP) Working Group and is a former co-chair of the Southeast Sustainability Directors Network. Join her for a discussion about how Knoxville emerged as a regional and national sustainability leader and how the community can deepen its progress toward a dramatically lower-carbon future. See Chet's message for further details. We are a chapter of the Citizens' Climate Lobby (CCL) established to focus on the impacts of climate change on the Greater Knoxville region, influences that touch each of us individually, effects that impact us collectively as a community, and shocks that range to the extents of the Earth. If you are interested in our beautiful East Tennessee environment, you are invited to attend our open meetings. You will be greeted respectfully independent of your political leanings, whether you are Republican, Democrat or Independent; if you believe that climate change is real or if you have doubts about its validity; whether you have abundant funds or have less; whether you are younger or older; all are welcome to the Greater Knoxville Citizens' Climate Lobby meetings. Prof. Huisingh generously shared his PowerPoint presentation with us. It's a big file, but worth downloading and viewing. A PowerPoint application or free viewer app ( ) will be needed to see the videos and animations. The Greater Knoxville Chapter of the Citizens’ Climate Lobby September meeting was held on Monday, September 18, 6:30 – 7:45 PM at the Bearden Public Library, 100 Golfclub Rd, Knoxville TN. The agenda was posted in the September Newsletter, and minutes were posted in the October Newsletter. RSVP at EventBrite. All you need is an e-mail address. Come to a free Climate Advocacy Training led by CCL. Trainers from CCL will teach techniques to use in lobbying Congress on climate change and building public political will for climate action. August 12 Climate Workshop Event. Saturday, August 12, the CCL Climate Advocate Workshop, was a fantastic, participatory experience for the Greater Knoxville CCL Chapter. 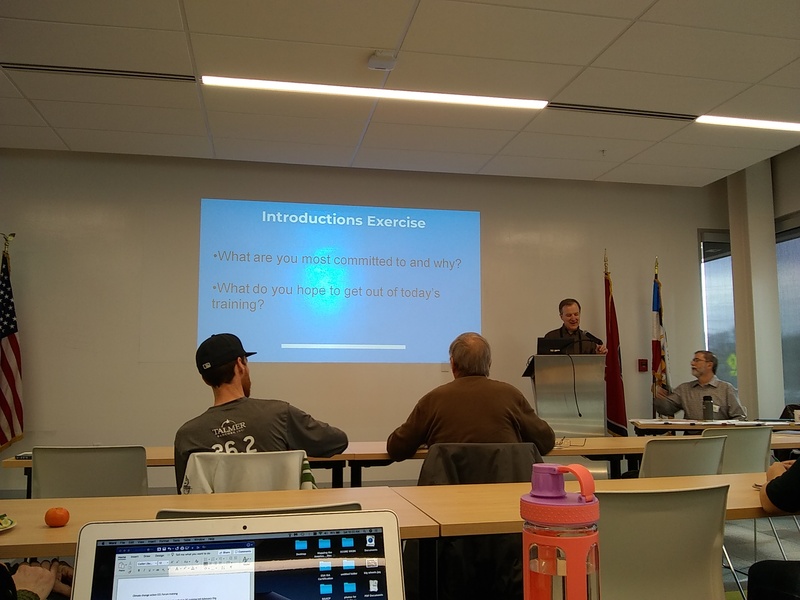 The training, conducted by two national CCL representatives, Don Kraus, Field Development Coordinator, and Jim Tolbert, Conservative Outreach Director, provided excellent guidance and instruction on the function and goals of our chapter. It emphasized Citizens’ Climate Lobby’s philosophy and details of how its solution, Carbon Fee and Dividend, works. 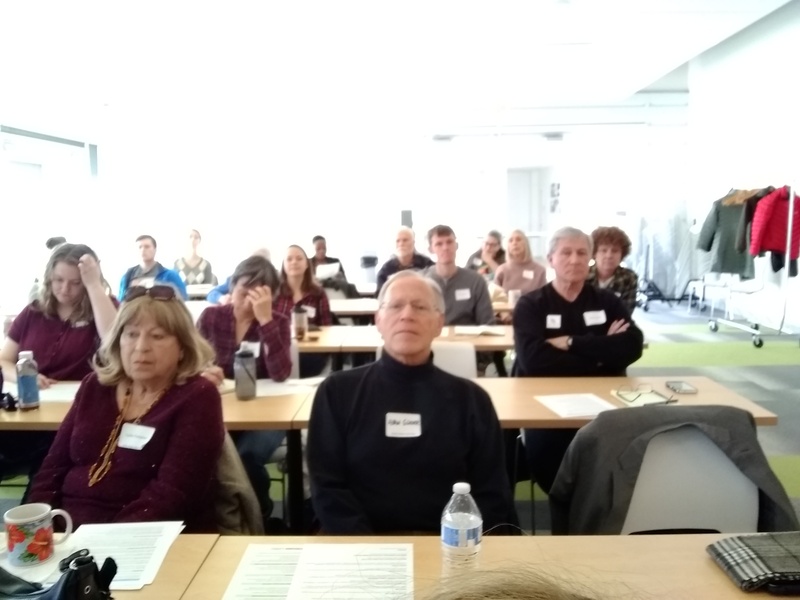 We had 29 very impressive attendees, whose backgrounds covered a range of scientific and professional interests, all of who vigorously joined into the workshop happenings. 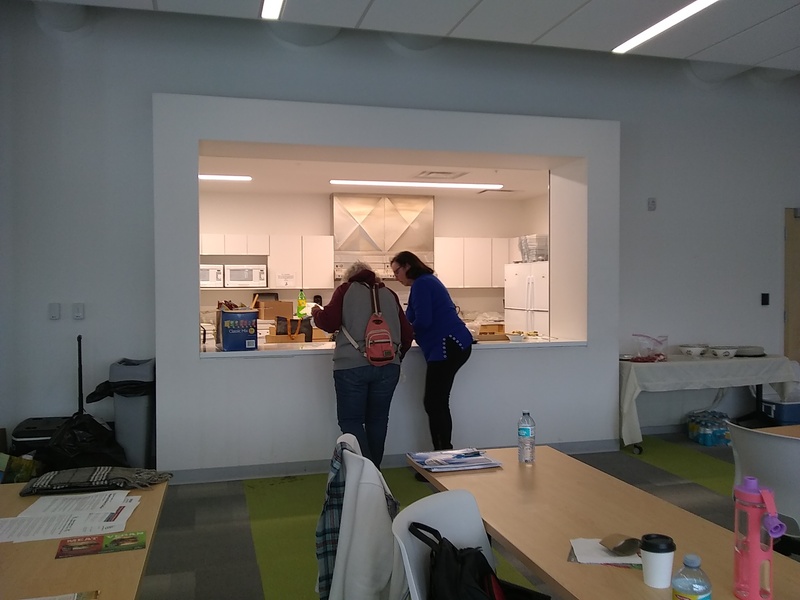 Thanks to all for your contributions to the workshop and to chapter members who provided venue, refreshments and cleanup. We plan to be an active, all inclusive, total participatory Chapter of CCL, where each member contributes according to her/his desire and time available. The advantages of being associated with CCL are many, including helping solve the critical global problem of climate change, having a tangible impact on a significant issue; recognizing that if we complete our designated mission, we have achieved the single goal of our Chapter and the Citizens’ Climate Lobby; and, last, but certainly not least, becoming friends with concerned citizens, who are united on climate change. Thank you for your interest and help directed towards maintaining a sustainable health of our environment. The Greater Knoxville Chapter of CCL needs and welcomes you, your talents and your expertise! September 18 Meeting. The Greater Knoxville Chapter of the Citizens’ Climate Lobby monthly meeting will be held on Monday, September 18, 6:25 – 7:45 PM at the Bearden Public Library, 100 Golfclub Rd, Knoxville TN. Chapter preliminary activities will begin at 6:00 pm and end at 8:00 pm, with the meeting formally starting at 6:25 pm. The meeting, devoted to education and organization, is hopefully structured for efficiency; we recognize time is cherished, and thank you for spending some on climate change. The educational components will consist of a report about the CCL September call; then, we will be treated to a talk by Dr. Scott Painter, of the Climate Change Science Institute, Oak Ridge National Laboratory, Oak Ridge TN, who will speak about topics his research area, Climate Change and Hydrology. 6:30 – 6:40 Highlights of CCL Monthly Saturday Call. 6:40 – 7:05 Dr. Scott Painter, Climate Change Science Institute, Oak Ridge National Laboratory, Oak Ridge TN will speak about Climate Change and Hydrology. Please note, we are requesting brief information reports from Chapter Teams following a very short Team Planning session. This is an unusual and ambitious request; first, because we have not had a meeting of the group, and, second, you might not even know that you are, or will be on a team. 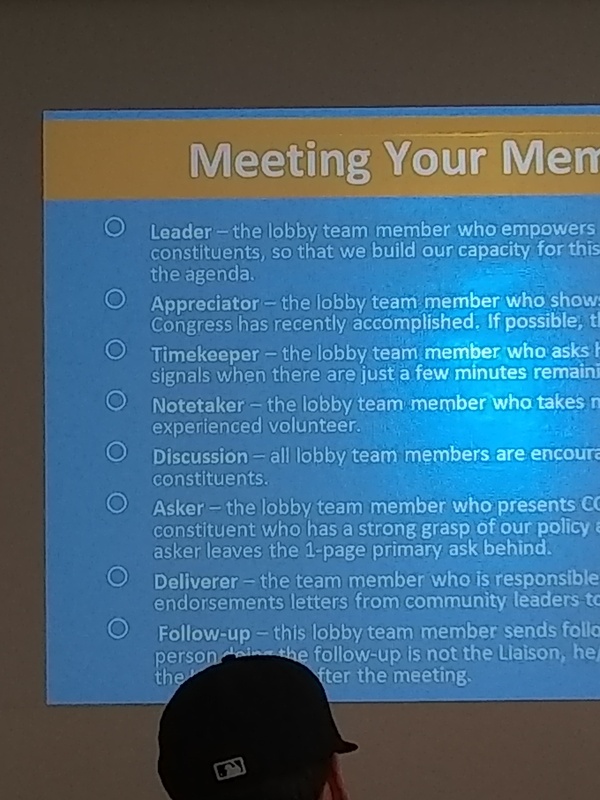 A reason for starting so energetically is our work is critical, becoming more essential every day, and hopefully this will get our members communicating, so that meetings need not be spent on organizational items, but on production. Also, some of you have already started discussions, and this provides an opportunity to proceed. The teams, cluster topics, suggested goals, and team members are provided for guidance and are only tentative, all certainly subject to change. The team members are suggested by reading of the workshop interest sheets, those turned in at the end of the workshop. If you did not attend the workshop, or if you attended and did not fill out the interest form, you are not listed in a team; however, you may be added to a team of your choice. Please join a team during the Set Up and Greet portion of the meeting. Again, you need not stay in the team in which you are suggested, this is only a preliminary suggestion based upon minimal data. All the suggestions below are preludes, given only to provide nominal guidance, and subject to the interests of the team. Clusters are to emphasize more specific task areas than the team classification, and may consist of only a few individuals… a few may be one, if that is all required or interested in the task. Please be thinking about what you can do for GKCCL. 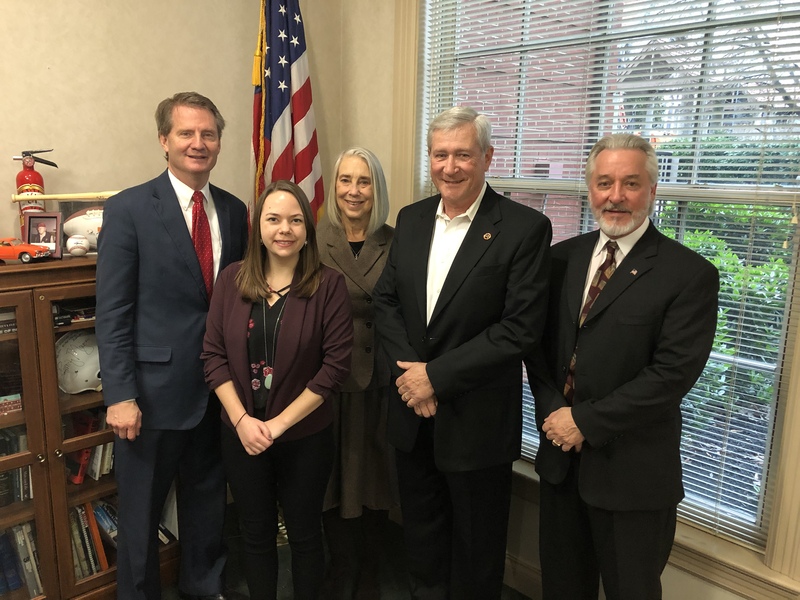 Liaisons with Cities of Knoxville, Oak Ridge, Maryville. Write letters to editors, opinion articles. Write to members of Congress, City and State governments. Follow developments related to climate change and share them with Chapter. 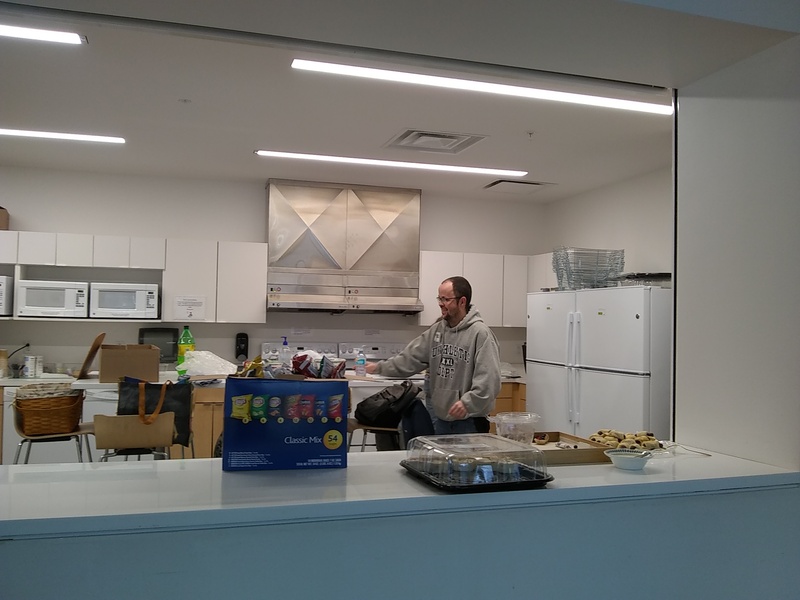 Find members to provide refreshments, set up and take down meeting room, see that presentation media is working. Find speakers for Chapter monthly meeting. Determine national CCL information to be presented to Chapter monthly meeting. Greet, welcome and encouragement of new members. Organize and maintain chapter activity. July Event Report. Thanks to the talented group of folks that attended the Meet and Greet session on July 19, at the Earth Fare in Turkey Creek. The 27 people there appreciated the introductory information provided by our speaker, Don Kraus, CCL Field Development Coordinator, who drove in from Asheville for this occasion. Thanks, Don, we welcome the encouragement and useful suggestions you made about activities of our Chapter. A encouraging event occurred when a meeting of a faith group, who were in an adjoining room, ended while we were still in session. Some came in, pulled up chairs, and were a most welcome addition. August 11 Community TV Climate Event. Our Advocate Workshop leaders, national CCL representatives, Don Kraus, Field Development Coordinator, and Jim Tolbert, Conservative Outreach Director, will join Renee Hoyos, Executive Director of the Tennessee Clean Water Network, in a climate related television program, that will broadcast at 7:30 p.m. Friday August 11 on Community TV of Knox County. Cable channels for Community TV of Knox County: Comcast Channel 12; Charter Channel 193; Wow! Channel 6; ATT U-verse Channel 99. August 12 Climate Workshop Event. Probably the most essential meeting of the year will occur on Saturday, August 12, The CCL Climate Advocate Workshop. The meeting time of the workshop is 9:00 am - 12:30 pm at The University of Tennessee, Agricultural Campus, 2500 East J. Chapman Drive, Biosystems Engineering and Soil Sciences, Room 268. There will be free parking in Lot 66 and snacks will be provided. The training will be conducted by two national CCL representatives, Don Kraus, Field Development Coordinator, and Jim Tolbert, Conservative Outreach Director. The Workshop will include a brief introduction to climate change basics, Citizens’ Climate Lobby’s philosophy and details of how its solution, Carbon Fee and Dividend, works. We will identify the primary political levers necessary to help reduce the impact of fossil fuels on our environment – including lobbying, media relations, grassroots outreach, grasstops outreach and chapter development. Please be thinking about where your strengths will serve this worthy cause the best and be prepared to join a team that will focus on one of these political levers. Participants will learn and practice how to lobby, engage the media and give short “laser talks” on climate change solutions. This workshop is open to all interested in the health of our environment. Please join us if you are curious about what you as an individual can do, or about what a group of concerned people can accomplish. You are also welcome if you just need something to do on a Saturday morning, but we would like to know if you are coming. If you have not yet RSVP’d for this important program, please RSVP here or go to: http://bit.ly/2h01I6u. Please share this with those in your network who you believe should attend. If you cannot be there, then please come to our September meeting that will be on the 18th, 6:30 – 7:45 p. m. at the Bearden Public Library, where we will welcome new members who have joined us because of this training workshop. September 18 Monthly Meeting. The Greater Knoxville Chapter of the Citizens’ Climate Lobby September meeting will be held on Monday, September 18, 6:30 – 7:45 p. m. at the Bearden Public Library, 100 Golfclub Rd, Knoxville TN. Agenda will be in the September Newsletter. For those interested in improving the health of our environment. If we individually strive to minimize our carbon footprints, we will have an influence. Regrettably, because all individuals will not, or cannot, minimize for numerous reasons, the totality of individual impacts probably will not significantly change our environment. To begin a rigorous attack on the problem, our population, the aggregate of individuals, must be offered an alternative to carbon utilization, one that is economically viable. The U. S., as the number 2 carbon emitter in the world, must constrain fossil fuels before they arrive at the buyer level, and concurrently provide a fiscally responsible, achievable replacement. This is exactly the approach and single goal of our Citizens’ Climate Lobby. CCL has a solution, now the work begins, respectfully persuading skeptics and generating support. Please check out our website, knoxccl.org, connect with us, and help solve the carbon pollution problem. July Meeting. Just a gentle reminder that the Citizens’ Climate Lobby will have an informal Meet and Greet gathering on Wednesday, July 19th, 7 pm, at the Earth Fare in Turkey Creek, 10903 Parkside Drive, Knoxville. Even if you cannot arrive at 7, please join us for a brief discussion, led by Don Kraus, CCL regional development director, probably starting about 7:30. IMPORTANT. August News Item. A Climate Advocate Training workshop will be offered by the Greater Knoxville Chapter of the Citizens’ Climate Lobby on Saturday, August 12, 9:00 am – 12 noon, on the University of Tennessee Agricultural Campus, 2500 EJ Chapman Drive, Biosystems Engineering and Soil Sciences Bldg., Room 268. The session is free and will teach citizens the intricacies of building political will and affecting change in positive, constructive ways. Citizens’ Climate Lobby (CCL) has a unique approach of achieving change through building positive, respectful relationships with lawmakers and focusing on specific market-based, consumer-friendly solutions that have received support from conservatives and liberals alike. The workshop will include a mini-lobbying training.